Emily has 15 years of dance training in the styles of tap, jazz, ballet, hip hop, contemporary, and musical theatre. She has performed at both Circle Theatre and Grand Rapids Civic Theatre, most recently appearing as Lily in Annieand dancing in On the Town. 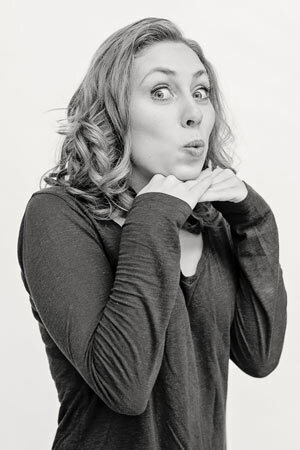 Emily has eight years of experience as a dance instructor, having taught classes at Grand Rapids Civic Theatre, Jenison Public Schools, and Body Language Dance Company. Her favorite part of teaching at Civic is watching her students enthusiastically take on challenges. She has choreographed several shows in the West Michigan area, including Anything Goes, Singin’ in the Rain, Man of La Mancha, The Hunchback of Notre Dame, and up next are Mary Poppinsat Jenison High School and Joseph…Dreamcoatat Circle. In addition to teaching dance, Emily utilizes her B.A. in Communication and Community Leadership (from Aquinas College) at Grand Rapids Community Foundation, where she works as Program Assistant.